From getting an internship to getting along with your roommate, we’ve got your back. At the College of Charleston, our definition of a successful student only begins with a glowing academic transcript. For us, college is a once-in-a-lifetime opportunity to grow emotionally, socially, physically and psychologically. The Academic Advising and Planning Center (AAPC) assists undergraduate students in developing an academic plan that encompasses all aspects of their academic career, including identification of personal and career goals and appropriate strategies for attaining them. Don’t wait until graduation to tap the power of the Career Center. Use Handshake to find jobs and internships, build a resume and network with alumni mentors. Choose a major that leads to a career you’re passionate about. 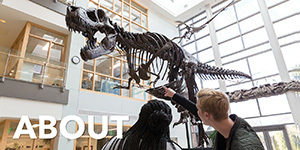 And don’t miss the annual Career and Graduate School Expo, where hundreds of our students land jobs and internships at top companies from around the country. The College celebrates and promotes its proud cultural diversity through the Office of Institutional Diversity and through the President’s Commission on Diversity, Access, Equity and Inclusion. These two entities work together to foster and sustain a vibrant, multicultural community on our campus where mutual respect for our unique human and cultural differences is not only tolerated but encouraged. 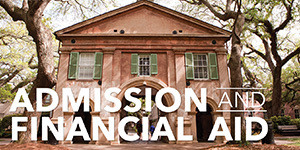 Every College of Charleston student deserves equal access to our amazing academic, cultural and social offerings. The Center for Disability Services is here to promote greater understanding of disabilities (learning, attentional, neurological, physical and psychological) in the College community and greater independence for our students with documented disabilities through assistive technologies, services and accommodations specific to individual needs. The mission of the Center for Student Learning (CSL) is to provide the College community with a comprehensive program for academic assistance. 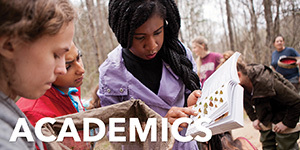 The CSL’s component programs, such as the Writing Lab and the Speaking Lab, serve the academic needs of all students throughout their years at the College and beyond. The staff at the Office of Counseling Center is here to help ease your transition to college life, from juggling classwork to managing relationships to confronting a possible drug or alcohol problem. Free, confidential counseling is available for individuals and couples. In addition, our staff is available to consult with families regarding concerns they may have about their student. Dedicated to empowering multicultural/minority and underrepresented students with its programming, services and organizations, the office of Multicultural Student Programs and Services (MSPS) sponsors B.E.S.T. 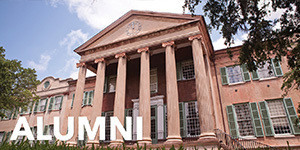 symposium and student mentoring program, the annual ExCEL Awards, the NIA Rite of Passage Celebration, SPECTRA and SCAMP summer transition programs for incoming first generation minority students, Salsa at the Stern, Shades of You, and Safe Zone at the College of Charleston . Student organizations affiliated with MSPS include the Asian Student Association (ASA), Black Student Union (BSU), Brothers On A New Direction (B.O.N.D. ), D’Vyne Purpose Ministry Gospel Choir, Gymnastics Club, Hispanic Latino Club, National Pan-Hellenic Council (NPHC), and Student Union for Multicultural Affairs (SUMA). holds students accountable for their actions. The specially tailored Office of Victim Services (formerly C.A.R.E.) program is available for our students no matter where a crime may occur, on or off campus, or whether the student elects to file an official police report or not. Services are provided within a framework that is attentive, sensitive and knowledgeable so that no matter where our students live, work and socialize, if there is ever a need, a wealth of assistance is available through the office. The College of Charleston recognizes the significance of the development of spiritual values among its students, faculty and staff as a part of their educational experience. 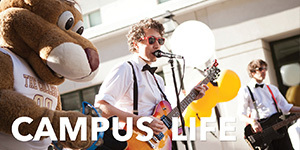 There are a variety of religious organizations on campus, each offering a vast array of activities and spiritual development opportunities. Prevention is the best medicine, which is why the College of Charleston's Office of Student Health Services spends as much energy educating students about healthy living as treating common health issues. You can set up an appointment by going there in person, calling (843.953.5520) or arranging it online at cofc.medicatconnect.com. 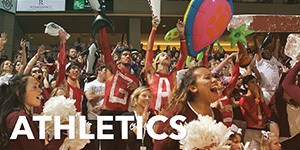 All visits are covered by the student health fee.